The benefits of ginger are numerous. 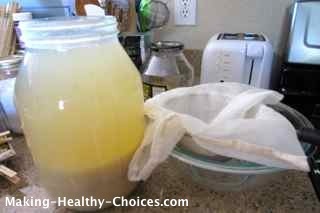 Here is a recipe for making homemade ginger juice. According to my Mom, this is how my Grandma used to make it. Eases nausea, stomach upset, digestive distress, stomach cramps, diarrhea. Relieves intestinal gas and bloating. Boosts circulation, respiration and nervous system function. Helps to move toxins through and out of the body. Is wonderful at easing cold and flu symptoms as well as fevers. Helps to normalize blood pressure and supports the liver. Food really can be our medicine! Way back when, my Grandma would chop and pound the fresh ginger into tiny pieces by hand. Now, I use a blender (I use a Vitamix Blender) to help me do this - a food processor would be great too. 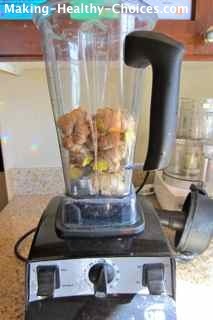 In your blender pulverize your ginger into very small pieces. 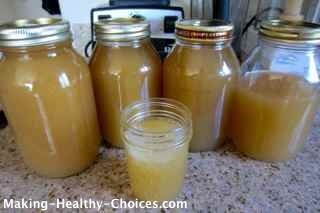 Use lots of ginger for a really flavourful juice. 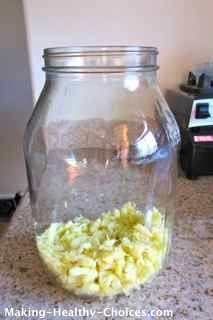 Put the chopped ginger in a big glass jar and fill with water. 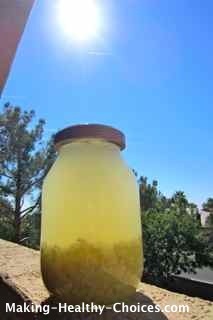 Put this out in the sunshine for 3 days and stir it once or twice a day. After 3 days in the sun strain your juice. 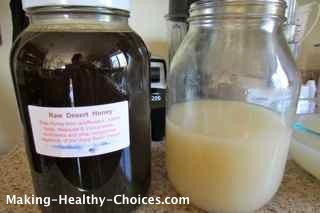 Sweeten with raw honey or sweetener of your choice and bottle in glass bottles. Store in the fridge. It is nice to make this really strong and then you can drink as is or dilute it at time of serving. This is nice to drink at room temperature or over ice. 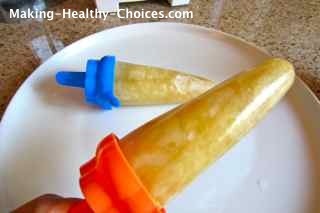 Use some of your finished juice and freeze into popsicles. 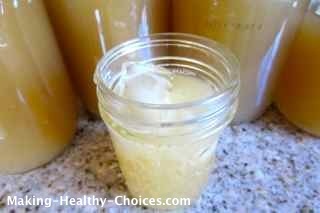 This is so refreshing and really great for anyone that has a sore throat. 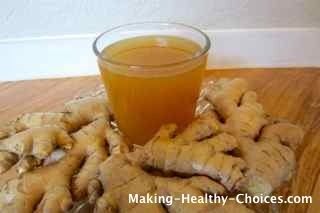 To make fresh ginger tea simple add finely chopped ginger to a mug and pour hot water over it. Sweeten with raw honey or sweetener of your choice. Adding fresh lemon to this tea is really nice as well. You can also use your ginger juice from the recipe above. 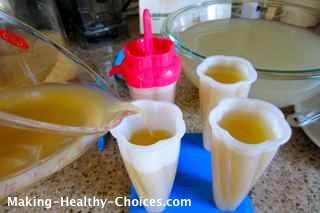 Heat the juice gently on the stove top or fill your mug half way with the juice and top up with hot water. Serve with a wedge of lemon. A perfect drink when not feeling well or anytime you want a nice warm drink. 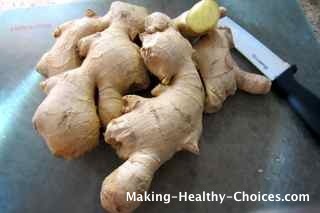 The benefits of ginger are so many that it is a great food to always have in your kitchen.